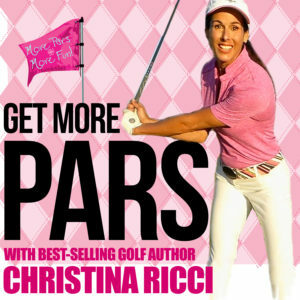 Tip of the Week 22 » Drill for Posture – CHRISTINA RICCI MORE PARS! One of the top culprits of missed shots is loss of posture. In this Tip of the Week, I show you a great way to feel staying in your posture. I see too many players fluctuate, in either the backswing or downswing. My job is to get you to stay in it…to win it. So, let’s get to it.